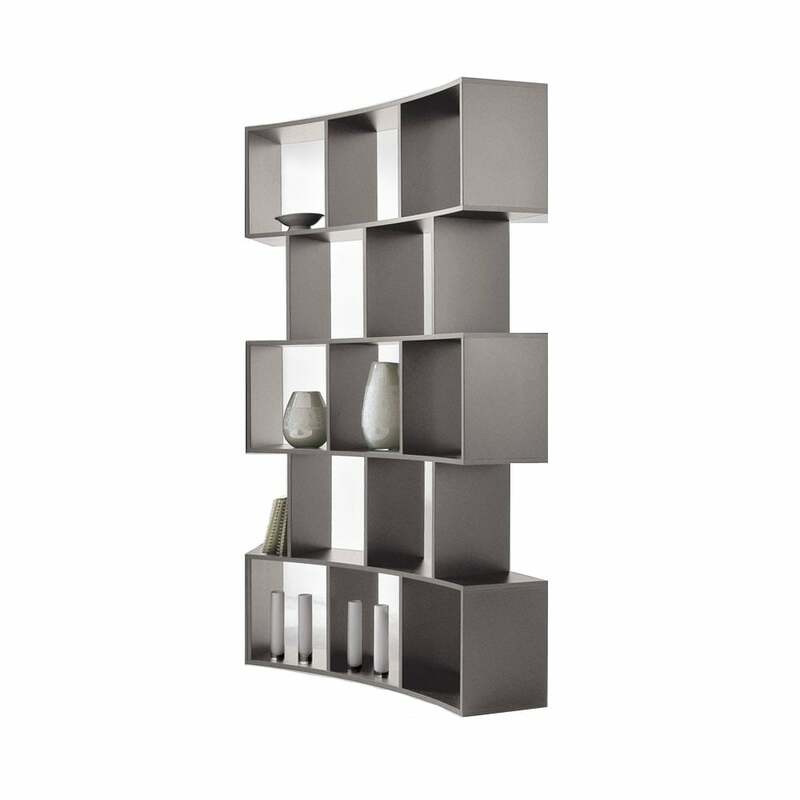 Modular curved bookcase with lacquered matt wood frame. River is a unique and great library project, designed to create alternative but always functional solutions. The development of the modular design allows the creation of various shapes, functions and heights, integrating different lacquered finishes into the same compositions.